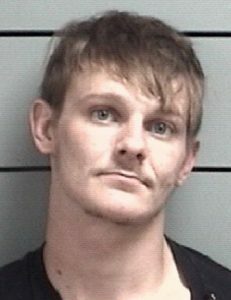 MARSHALL COUNTY — A several-month long investigation by Marshall County UNIT Officers was concluded Tuesday, June 26, with an arrest. Jacob Vanblaircom, 21, was being investigated for the illegal sales of narcotics. He was located in rural Marshall County Tuesday, June 26, where he was taken into custody. Vanblaircom was booked on charges of dealing in cocaine, a level 2 felony; two counts of dealing in cocaine, a level 6 felony; two counts of maintaining a common nuisance, a level 6 felony; and dealing in a controlled substance, a level 6 felony. Vanblaircom is being held on $100,000 cash bond.